A survey revealed that 64 percent of Egypt respondents spend three hours or more online every day to participate in social activities. A survey revealed that 64 percent of Egypt respondents spend three hours or more online every day, with the predominant reason for going online is to participate in social activities. 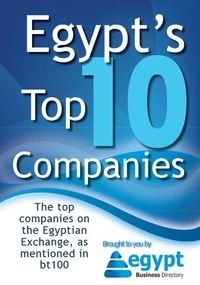 The survey, conducted by Bayt.com, a leading job site in the Middle East, and YouGov, a research and consulting organization, showed that every day 35 percent of Egypt-based respondents claim to connect with friends via email, and 35 percent of the same demographic connect with friends through social networking sites. Watching video clips and listening to music are also popular daily online activities and a very significant proportion of daily usage comes from online job hunting, with 41 percent of Egypt respondents using the internet to seek employment. The least popular daily online activities in Egypt are downloading podcasts (39 percent); playing online games (32 percent); participating in online courses (28 percent); uploading video clips to video sharing websites (25 percent) and uploading photos to a photo sharing website (24 percent). “There is a definite trend across the survey region that leans towards using the internet for social purposes as well as for job hunting and career related purposes. This is very encouraging data and further bolsters Bayt.com’s foray into the career-centric social arena with our proprietary People platform which allows the region’s professionals to build an attractive public profile based on their completed CV and bolster that with badges and referrals,” commented Amer Zureikat, VP Sales at Bayt.com. Results asking survey-takers to state all social networks to which they belong proved that Facebook is the site of choice; of the 2650 Egypt respondents, only 5 percent claimed to not have a Facebook profile – making Egypt the most Facebook-connected country of all those surveyed. Twitter comes out as second most popular with 30 percent of respondents having an account there; Netlog is third with 14 percent, Hi5 and ‘other’ networking sites earned 12 percent each, with LinkedIn coming in last with 10 percent. Only 4 percent claimed to have no social networking profiles at all. Facebook usage is especially high, with 70 percent logging onto the site on a daily basis, whereas only 24 percent visit Twitter every day. The majority of Egypt users (a combined figure of 57 percent) will spend between 30 minutes – three hours a day on Facebook, with another 19 percent claiming to be signed into their account most times of the day. Twitter, on the other hand, has 30 percent of users who log in for less than 30 minutes a day, and 29 percent who log in for between 30 minutes – one hour. In Egypt, 38 percent of survey-takers claim to use social networking websites at their place of work; the main reason for not accessing such sites while in the office are due to the employee not having time (74 percent), rather than sites being blocked (10 percent). Statistics across the region tend towards a lack in online purchases; Egypt is no exception. There is a slight tendency for more people to order books online than anything else, followed by ‘other items’, such as electronics and clothing. The trend across the region is for people to access political news online as opposed to business or lifestyle/leisure news; in Egypt, 78 percent access the former (the highest in the region), 51 percent access business news and 52 percent access lifestyle/leisure news online. In terms of the amount of time spent online every day, 36 percent of Egypt respondents are online for less than two hours a day, while 32 percent use the internet for between 3-4 hours daily and 18 percent claim to surfing the web for more than six hours every day. When it comes to online access, Mozilla Firefox is Egypt’s browser of choice, opted for by 40 percent of respondents – Google Chrome, however, comes in a close second at 34 percent. Google is the most popular search engine with 98 percent preferring to use it over its peers, with the most commonly used email provider being Yahoo! (83 percent), followed by Hotmail (54 percent) and Gmail (29 percent). As far as chat programs are concerned, Yahoo! Messenger is the most popular platform in Egypt, with 71 percent of respondents using it; second is Skype with 38 percent, followed by Windows LIVE (31 percent) and Google talk! (11 percent). In general, across all surveyed regions the method of choice for connecting to the internet is via personal computer (desktop, laptop and netbook), by a majority of 96 percent. Personal computer ownership in Egypt is 56 percent, with 64 percent of respondents having fixed line broadband at home, and 33 percent claiming to have WiFi access. Only 24 percent of the region’s respondents use a mobile or smartphone to access web content, with 5 percent opting to browse from their tablet computer. The most common place of access is at home (86 percent), followed by work (46 percent); mobile access and internet cafes come a close third, with 21 percent and 17 percent respectively. The biggest concern to do with the internet put forward across the region is inappropriate content being easily accessible to children and youths. In Egypt, this is followed by (in order of biggest – lowest concern) internet addiction, the internet keeping people away from an active lifestyle, social interaction becoming limited away from the internet, spam, and lack of privacy. Data for the Bayt.com Internet Usage in the Middle East survey was collected online from August 1 – 24, 2011, with 8,981 respondents (predominantly male – 82 percent as opposed to 18 percent women) aged 18+, representing Algeria, Bahrain, Egypt, Jordan, Kuwait, Lebanon, Morocco, Oman, Pakistan, Qatar, KSA, Syria, Tunisia and the UAE.